Your shopping guide to South Methven Street! Welcome to South Methven Street! From Café Coco at the start of the street, to The Alteration Company down at the end, the fascinating array of businesses on South Methven Street perfectly embodies the city of Perth. Proudly independent, the street offers everything you might need all served up with a personal touch, and all on one long stretch. 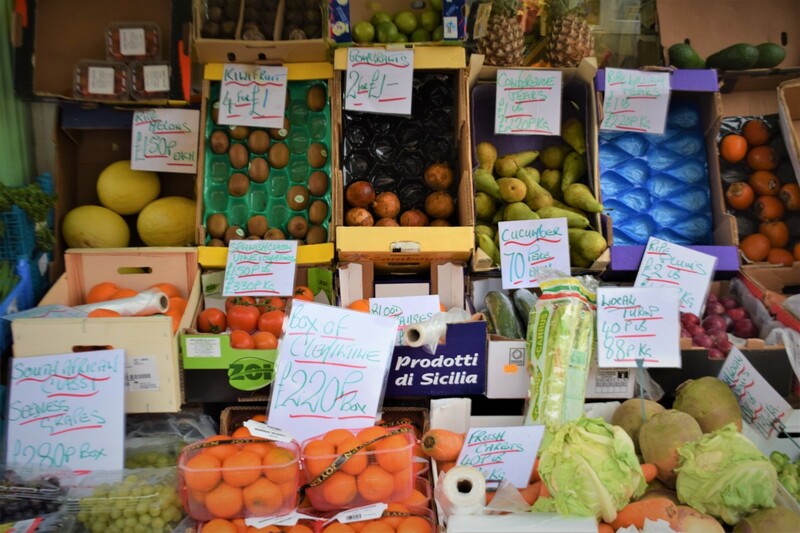 As well as a fantastic choice, you will also find a quirky, unique blend of old with the new; where else could you step out of a stylish, contemporary hair salon and walk into a traditional fruit and veg shop in under a couple of minutes? And of course, a glorious mix of cultures come together with Nepalese restaurant and Polish supermarket bringing two great sit in or cook at home options. So kick back and enjoy our guide to THE place to be in Perth. Make sure to check out our video below too! Shopping all day sure does work up an appetite – so why not fuel your day with a bite of food to go with the range of amazing bakeries, cafes and more on South Methven Street? Cafe Coco is a top choice for a cosy coffee and a delicious fresh lunch in a modern, chic setting. The welcoming staff serve up a mouth-watering selection of Italian coffee, cakes and pastries, as well as classic soups and sandwiches. Fancy a big start to your day? Make sure to check out the full traditional Scottish breakfast! Or maybe you're in a hurry and just need a pick-me-up? No worries, their coffee is ready to take-away. There’s nothing like the smell of freshly home-baked goods, something that Love of Loaves specialise in, the warm aromas pulling you inwards! 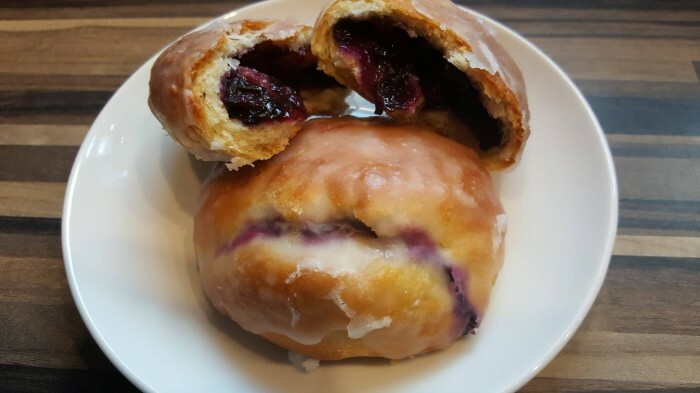 Opening their doors in November, this Polish bakery specialise in all sorts of different things – breads, cakes, sweet treats, rolls and more. A favourite amongst customers are their delicious made-to-order birthday cakes, which are made with fresh cream and are sure to delight. Just down the road is Snack Shack, a popular cafe and take-away with a reputation from Perth locals, who love its hot filled rolls, stovies and macaroni. And with a full breakfast for just £4 it's ideal for saving a few pennies without skimping on taste. You can’t go wrong with a delicious kebab, as the folks over at Marmaris Kebab know! Serving up freshly made kebabs, calzones, doner wraps and more, their food with satiate your appetite and put a huge smile on your face - the perfect stop after a big night out! When in Scotland, it’s always weather for ice-cream, and at Espresso café and ice-cream parlour you can enjoy a sweet sundae, a comforting coffee and cake or a tasty lunch deal. Customers rave about the welcoming service from the friendly staff, whose aim is to make you feel right at home. With Delicious, the name says it all. Locals flock to the cafe during lunch hours to satisfy their hunger on the most wonderful selection of takeaway sandwiches, rolls, wraps and paninis with fillings to suit every craving. Take time to sit in the vibrantly coloured cafe where the lime green and sunshine yellow walls are certain to make you smile (as is the home baking!). Make sure to check out the sumptuous home-made soups, which change daily. For an evening dining experience, South Methven Street looks to the East. The acclaimed Everest Inn has a host of awards to their name and a loyal customer base who have fallen in love with their Nepalese offering. 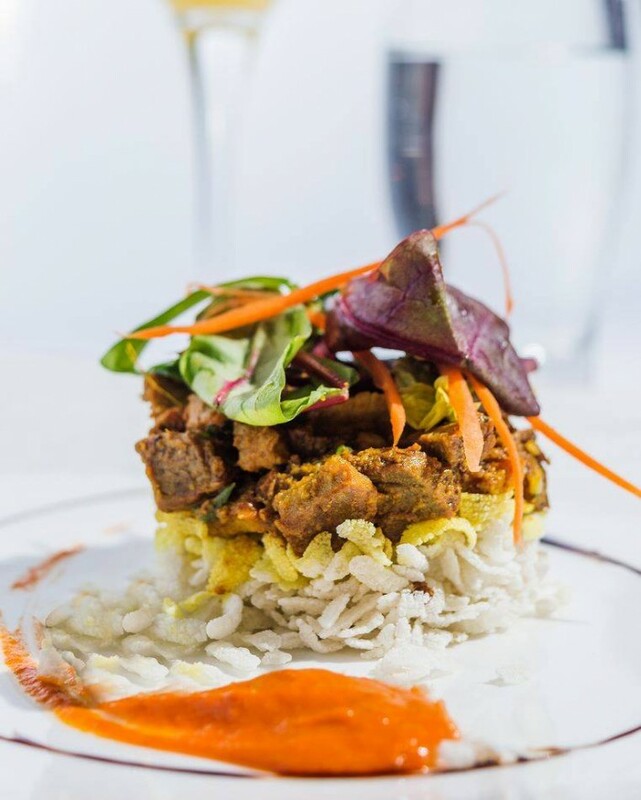 Indulge in classic curries or experiment with authentic Nepalese meals such as Machha Modi Khola, fish marinated in spices, herbs and yoghurt, or Hans Bhutuwa, a marinated breast of duck in herbs and spring onion. Treat yourself to a sit-in meal, or order takeaway for a comfy night on the couch! If you’ve got a hankering for some fresh Italian pizza, you’ll want to check out Pizza Express. 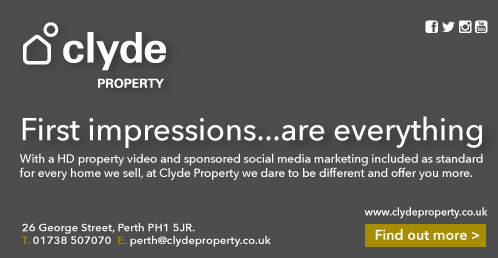 The Perth branch is in a gorgeous, restored building with plenty of natural light and space. My personal favourite on their menu would have to be their delicious, new vegan puttanesca with jackfruit, olives, capers, red onion, chilli, garlic & herbs….my mouth is watering just thinking about it! What better to wash down your pizza than a cold pint from Dickens Bar! 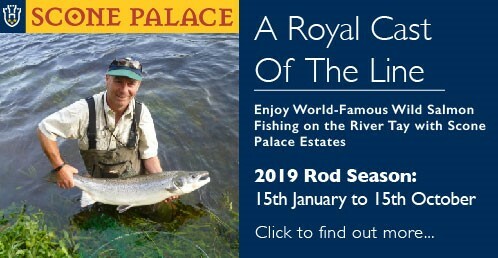 This Perth favourite has 200 years of history to its name, with evidence of a licensed premises on that location as far back as the early 1800s! Today, the pub retains its traditional style and specialises in real ale and malt whisky as well as supporting local breweries. And if you’re in town during the day, pop in for a soup and sandwich for under a fiver! Fancy something a bit more intimate? While small in stature, the Bee Bar is loaded with spirit and warmth. A classic, good old fashioned boozer, the Bee is the place to be for lovers of a good drink, good company and music to match. Perthshire’s Polish community has grown in leaps and bounds over the past decade and a Touch of Poland is the very happy result of this! Polish home comforts and food and drinks are a plenty here – blueberry pierogi anyone? Pop on in and enjoy the delicious offerings and friendly service. 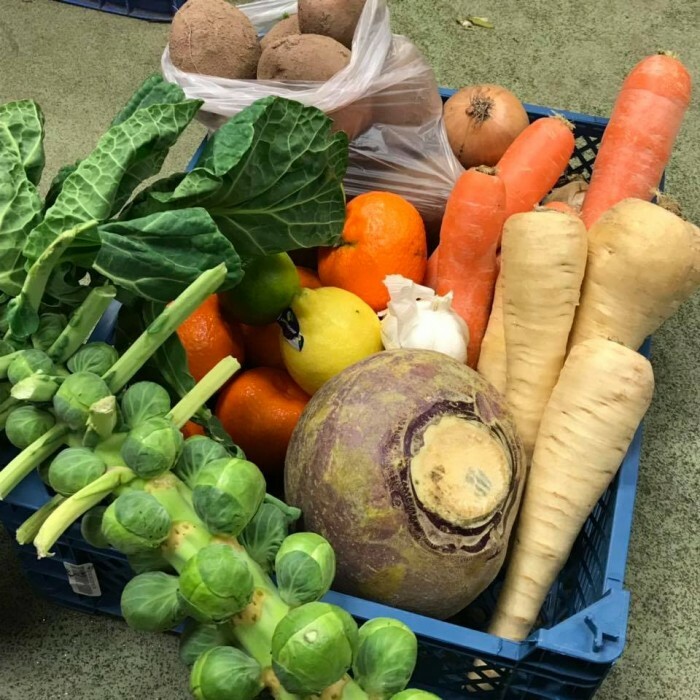 One of South Methven Street’s most well-loved shops, Martin’s Fruit Bazaar is famed for their vibrant boxes of colourful fruit and vegetables lining its windows and shop front. Only the freshest produce is sold here, sourced locally and from across Scotland. Martin’s is a family run business that’s been serving Perth for many years now and for many, many reasons is where we all go for a trip down nostalgia lane. 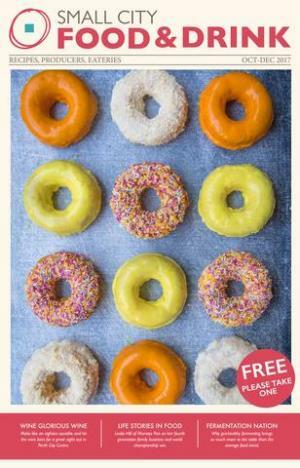 This October, they’ll be celebrating their 100th year in business – amazing!!! Whether you’re looking for a bit of girly pampering or a special barber’s treat, you can find it all on South Methven Street. Charlie Taylor is one of the leading names in hair and beauty across Scotland, and here in Perth, her salon offers everything from a cut and blowdry to daring new colours and styles. Upstairs they offer treatments for the face, body and nails, including manicures, facials, tanning, make-up and non-surgical cosmetics. Another leading Scottish name, the multi award-winning team at Copperfields Hair and Beauty are committed to bringing customers the highest level of service, style and creativity. Their bright, contemporary salon is home to both hair and beauty, with a range of fantastic treatments in both departments. Offering up some of the hairdressing industry’s most respected brand names as their partners, it is little wonder that they are one of Perth’s first choices for trims, colour and restyles. Nail Bar, to the end of South Methven Street, has an enviable reputation which has brought them a host of awards. Manicures start from £12 and are carried out by highly trained beauty technicians. Appointments aren't always necessary so drop by and see what they can do for you. 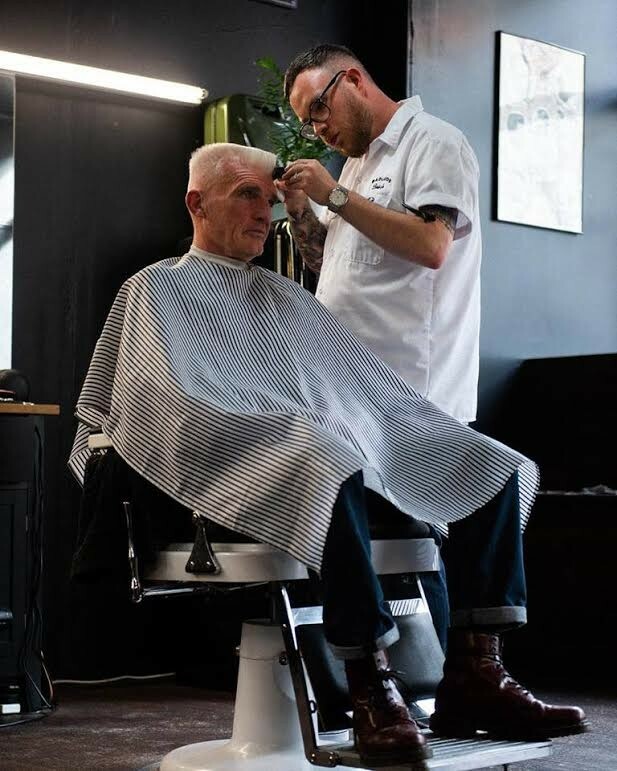 Badlands Barber was Perth's first barber shop with a modern twist. The team provide both haircuts and beard maintenance and as well as talented stylists, you'll enjoy great conversations and a good cup of coffee! Parents with young children in particular praise Badlands for their service, which has seen nervous wee boys raring to return. For something a little more classic, Stuart’s Barber Shop offers a traditional experience with skilled staff, and a longstanding clientele. Blondette specialise in vibrant colour to turn heads! They swear by Matrix products, known for being a cult favourite of hairdressers everywhere. And if you’re going to get a fresh new do, why not go all out and get the works?! Blondette also offer nails, extensions, and spray tan – so whether you’re getting glammed up for a big night, or just want to treat yourself, pop by and see what they can do for you. Mobilia Carpets & Beds have a fantastic range of furniture, beds and carpets for your home at affordable prices. Their knowledgeable staff are on hand to make sure you get expert advice and a great deal. A must visit if you’ve just moved and are looking to spruce up your new place! The team at Fair City Carpets has been servicing Perth locals for over 20 years and as well as a great choice of quality flooring, their speciality door-to-door service offers a generous selection of benefits, from free estimates through to old carpet removal. Right next door, Fair Bathrooms design, supply and install bathrooms to fit any size, budget and taste. So whether you're in the market for a cheap and cheerful installation for the spare loo, or a luxurious upgrade, make sure to drop in for a chat and see what they can do for you. This Little Piggy went to Perth! This award winning shop specialises in only children's footwear and the gorgeous interior is jam packed full of every possible design and size of trainer, school shoes and sandals. With a host of top brands and a fabulous fun interior and windows (they really do ooze creative genius!) the team will make shoe fitting a treat for even the fussiest of children! The Look offers simple, well-tailored clothing at great prices and has built up a loyal base of customers as a result. Browse the selections of ladies clothing and make sure to ask the helpful team for assistance – they’re ready and waiting for you! 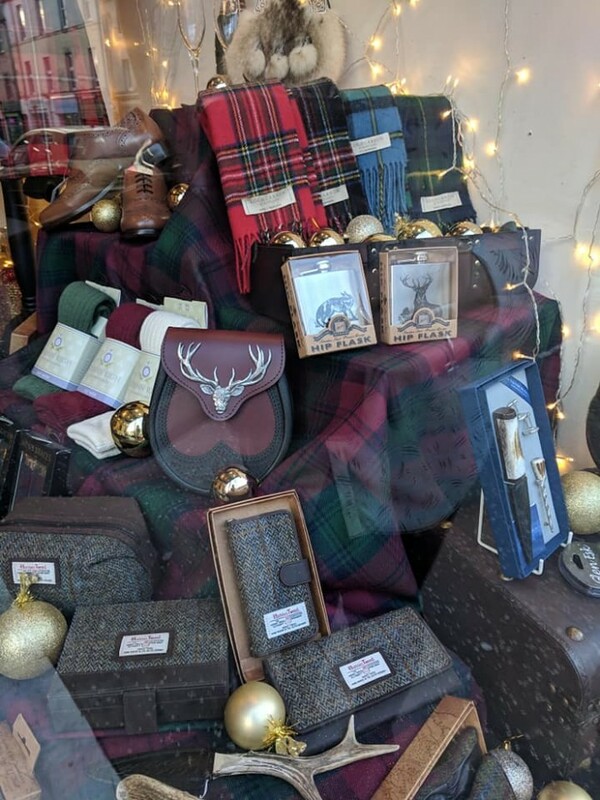 Every Scotsman needs a kilt and Robert Nicol will have you looking super smart for your special occasion.. One of the longest-established kilt-makers and specialists in Scotland they come with four generations of family experience. Their personal service is second to none and they offer a range to suit each person's style and cost. It’s important to check in with your body and make sure you’re feeling your best – something that can be easily forgotten when we all seem to be living fast paced lifestyles! Luckily South Methven Street is home to a range of healthcare providers to help you out – handy or what? Let’s start with a feel-good factor by introducing RP Blair, an independent pharmacist who has over 50 years of informative advice at hand. Prescriptions, toiletries and pampering treats can all be found alongside the off-the-shelf remedies your body needs when it’s feeling poorly. WJ Henderson Optometrists are an independent family owned opticians that opened in South Methven Street almost 80 years ago! Despite their long existence they use some of the most advanced technology available to assess your eye health and vision (Free under the NHS), and their frame range is bang up to date too! It’s important to check in with your body and make sure you’re feeling your best. House of Hearing specialise in all things ears. And they really know their stuff – this family run business has been around for 50 years this year, and have seen 60,000 pairs of ears since then! They offer wax removal, noise protection which is popular with musicians, and basically anything ear related you can think of! Their hearing assessments are offered free of charge too. Dental Care Perth will have you beaming those pearly whites to everyone in the local vicinity. They’ve called South Methven Street home for two years – but have been operating for over 100 years – you can say they know what they’re doing! Over that time they’ve grown from a single consulting room to a modern six surgery practice, sprawling over two floors. Offering a range of services from routine dental exams to complex dental implants, and even cosmetic procedures, you’re guaranteed to be in safe hands. There’s nothing like the feeling of an outfit that just pops, is there? No matter what your style, the businesses here offer a range of services to get your clothes looking tip-top. At the top of the street is a talented team looking to bring some TLC to your worn out clothes and give new garments a nip and tuck to create the perfect fit. The Clothing Alteration Company have helped more than a few of us out of a tight spot when an outfit needed altering or repairs and their expert hands offer speedy service and guaranteed results. For that fresh, clean smell to put a spring in your step, you’re going to want to check out Johnson’s dry cleaner. They use Green Earth exclusively – one of the most gentle, softening and eco-friendly detergents around! There’s not much they can’t clean, and they can even help you out for big events like weddings. Plus their friendly service can’t be beat! One of the best things about South Methven Street is the unique variety it offers so when it comes to grouping them all together the bits and bobs can get quite long – and very interesting! B.A. Kerrigan are a combined tobacconist and classic sweet shop that promotes a true feeling of old-fashioned service and quality. This cosy nook of a shop has shelves packed with the sugary delights of many a childhood, from wine gums and fruit salads to iron brew chews and jelly beans. For the cigar aficionado, Kerrigan’s shelves also include the top selection of tobacco products in the city. Price Crushers have an array of homeware, tupperware and cleaning products. From feather dusters to new pots and pans you're sure to find a useful bargain! For a more floral experience, the other end of the street is home to Lorna Davies Florist. The rainbow of colours both outdoor and in is a glorious welcome for all and the team are ready and waiting to bring their wealth of experience to each and every bouquet. 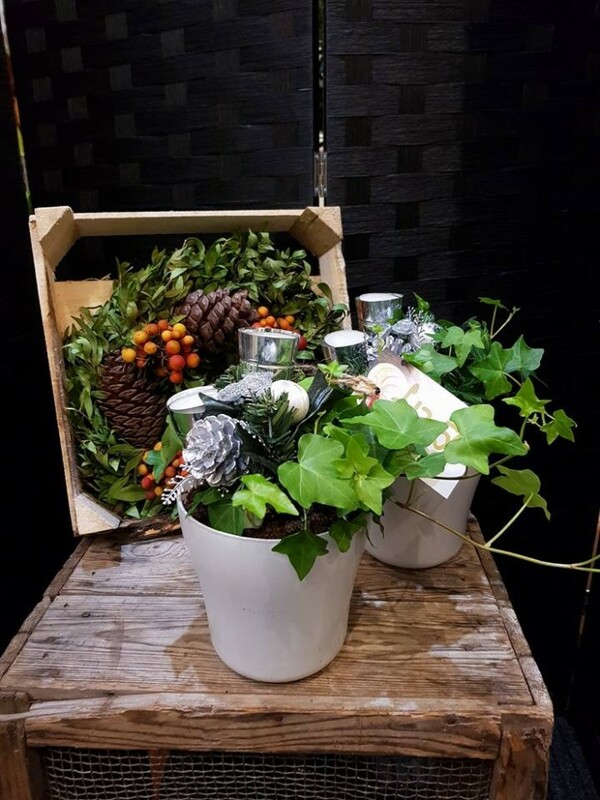 Providing bouquets, wreaths, baskets and arrangements for every occasion this wonderful shop never fails to delight their band of loyal customers. And its two fat ladies, 88, to finish off! Get your dabber pens ready for a fun time out at King's Premier Bingo. Early sessions start when the doors open at 10:30am and they run the calling until late, six days a week. Whatever you’re looking for, we hope you turn your attention to South Methven Street for its independent delights and passionate small business spirit, who mixes blasts from the past with fresh bursts of modernity and pulls it all off in a way that only Perth can.